Shopify does have a corner on the market when it comes to a dropshipping solution. Their service is really good and even I tested them out without much complaint except for the fees. For some people, the fees are not an issue. However, there are many who are new to dropshipping that do not have much to invest up front. In this post, I’ll explain an extremely low-cost option for starting a dropshipping store as well as a free method that requires a bit more time. Why Use WordPress for Dropshipping? 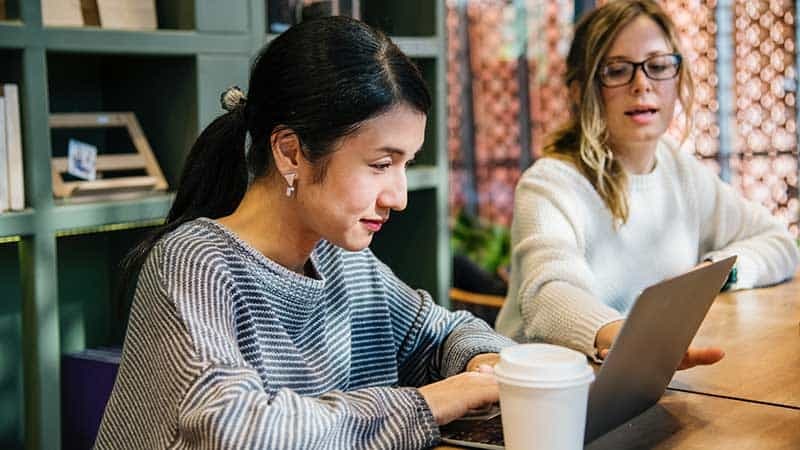 Although Shopify is really easy to use and you can have your store up in a matter of minutes, WordPress has some great benefits if you’re willing to do a few extra steps. WordPress is open-source website software that is free to download and install. It lives on the web hosting server that you choose to host your website. Therefore, you retain full ownership of your website. Shopify is a software-as-a-service company and in order to use their service, you must create an account. Your store runs using their software on their web servers. That means that they have the authority to close accounts at any time for any reason. You can read how so in their terms of service. Even though dropshipping is a low-cost online business to start, for many dropshippers, start-up costs are an issue. Some people do not have the budget to pay monthly software fees. Shopify’s basic monthly fee is $29 per month. You’ll likely also use the Oberlo app which is free to use. However, when you need more features, their basic plan also starts around $29 per month. Notice the added monthly expenses for other Shopify apps. It’s not to say that you would incur the same fees. However, when you want or need to add functionality, those fees are quite possible. So, how do you open a WordPress dropshipping store? The good news is that it isn’t difficult to do and you don’t need a technical background to get started. If you are somewhat experienced with using WordPress, you can set up everything quickly and easily. Otherwise, you will need to start with registering your own domain name and obtaining web hosting. There are many web hosting providers to choose from. I shared my own experience with web hosting for WordPress dropshipping. Two good web hosting providers that I use and recommend include SiteGround and HostPapa. In order to turn your WordPress website into a dropshipping store, you will need a dropshipping plugin. I’m a user of the AliDropship plugin. When I was in search of a good WordPress alternative to Shopify, I was lucky enough to find AliDropship. It was the all-in-one solution that I was in search of. It works for both WordPress and WooCommerce. In fact, when you buy the plugin, they provide both versions of the plugin. The AliDropship Plugin has a one-time fee which means no ongoing recurring monthly fees. If you are accustomed to using WordPress, you install the AliDropship plugin like any other plugin. Once it is activated, you can then begin customizing your store and importing products from the AliExpress website. The AliDropship plugin automates all of the rquired features that you need to maintain your dropshipping store. For example, there is automated order fulfillment, automated order ID tracking, auto pricing and inventory updates, and more. Another awesome option that is available is to open a free dropshipping store using WooCommerce. All of the software to open your store is free including the store theme. The DropshipMe plugin is a special plugin that makes it super easy to import only the best selling products into your store. The first 50 product imports are completely free and if you want to upgrade, you only need to choose a package and pay a one-time fee. Opening a free store enables you to test out various niches without spending money each time that you do so. Keep in mind that the free option means that you have to handle all of the tasks that the AliDropship plugin automates for you such as order fulfillment and order tracking. However, you can always upgrade your store to use the AliDropship plugin later on when you’re ready! What About Customer Support and Training? What many people like about using services like Shopify is that they offer customer support. You’ll be glad to know that the AliDropship plugin also offers free lifelong updates and customer support. They truly want to help everyone succeed with their dropshipping store. They are constantly creating new blog content and sharing free marketing information to help beginners learn how to promote their store products and make sales. 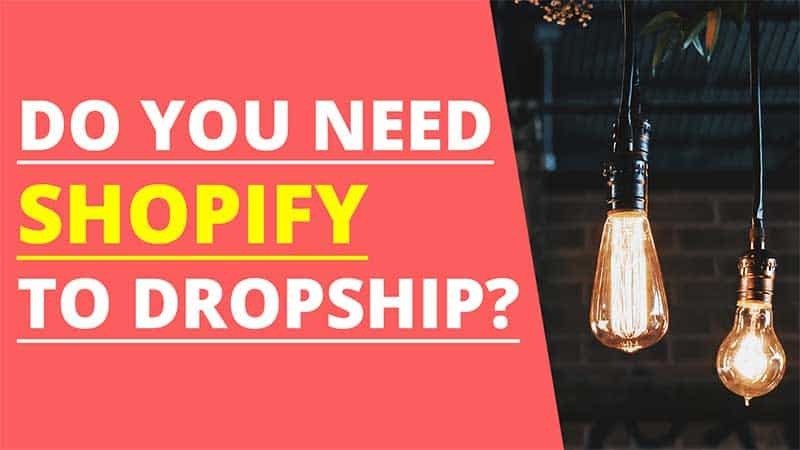 If you have a bit more of a budget and want to get a jumpstart on your dropshipping store, you may want to learn more about AliDropship’s custom dropshipping store service. The team will build your custom store to your specifications. They will handle everything from selecting a niche, registering a domain name, importing the best-selling products, and so much more. Best of all, no matter which package you choose, you will be assigned a personal manager who will oversee the entire process. I hope this post has helped you to learn about some alternatives to Shopify for opening a dropshipping store. Sure, there are pros and cons even with using WordPress. However, for many people, this alternative is the ideal option. Be sure to learn more by browsing the AliDropship website.